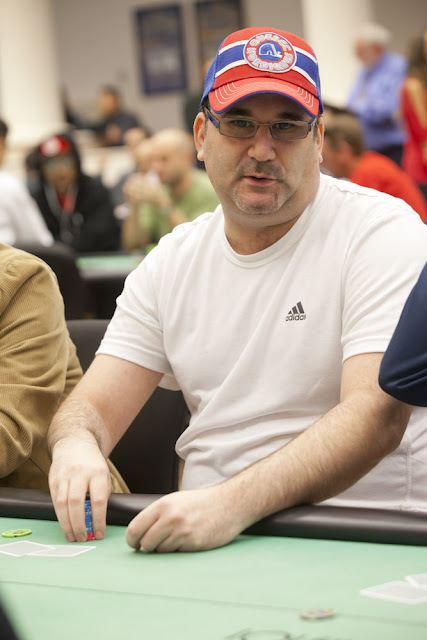 Mike Matusow was all in with pocket queens, but ran into the pocket aces of Jonathan Little. Amazingly, another player was all in with pocket kings, and Gabe Walls folded the other two queens face up. With little hope for surviving, Jonathan's aces held up to eliminate Mike Matusow.